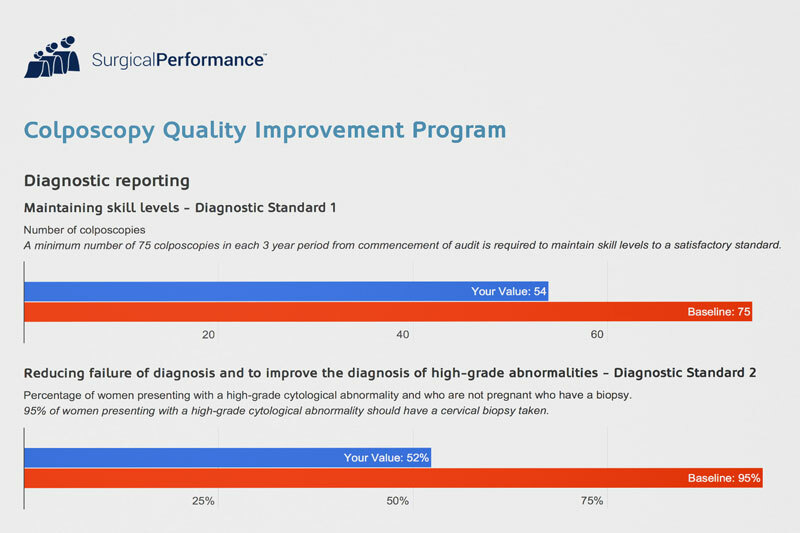 For those of us who are members of the RANZCOG, SurgicalPerformance has developed a Colposcopy Quality Improvement Program report. This report is available for O&G specialists and trainees from all countries and comes for free if you are a Premium subscriber. You only need to go to “Reports” and the Colposcopy Quality Improvement Program report will appear if you joined as a Premium subscriber. If you are a Lite subscriber, you can easily upgrade to Premium (go to your profile section, top bar) or if you wish to remain a Lite subscriber you can download your cases into Excel and calculate your own report.